Jacko's Dad Nixing $15G Monthly Allowance? Michael Jackson's father has turned down an offer from his son's estate of a $15,000 monthly allowance - even though the King of Pop specifically excluded his father from his will. 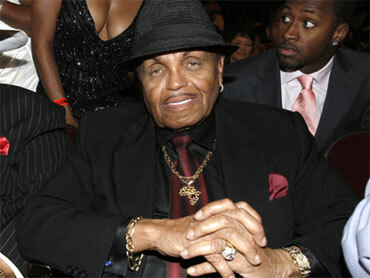 That's the word from Showbiz411.com columnist Roger Friedman, who told "Early Show" co-anchor Harry Smith Tuesday, "Joe Jackson has been petitioning the court, asking for an allowance -- even though he wasn't in the will -- specifically not in the will. And now I can tell you that he's been offered a monthly allowance of $15,000 and he doesn't want it. It's not enough for him. So he's still carrying on in court." Friedman also called the $200-$250 million deal the estate reportedly has reached with Sony Music Entertainment involving the late Gloved One's music the biggest of its type, ever -- the largest involving music only and not merchandising or other avenues.